Two FBI Special Agents have been partnered to take down a serial killer just starting to rack up the body count in the small southern town of Jasper. One, Luke Dante, has a special touch with victims, the other, Monica Davenport, has a unique ability to get into the minds of killers. Both have tragedies in their past that define them, both have histories...and six years ago, they had each other...until Monica walked away and left Luke aching for the only woman he'd ever love. Now they have to work together, and as intent as Luke is at doing his job, he's equally intent on Monica. She walked away once and he let her go. He has no intention of being that stupid again. A killer stalks his prey and uses their own fears against them. 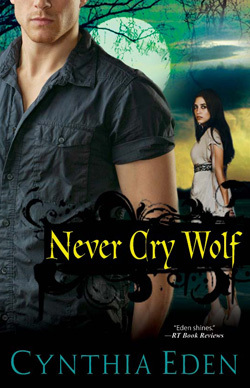 Secrets from the past threaten to destroy the only two people able to stop him. A woman of ice and a man of fire have to come together and free their own fears to find justice for the slain and hope for the future. It's a deadly race. 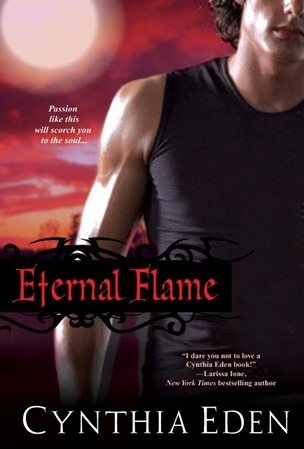 Cynthia Eden writes excellent and edgy paranormal romance with a twist of suspense and in Deadly Fear, she's left off the paranormal and stuck with the full-on romantic suspense. The plot may not be the most original I've ever read, but it's well developed and told with Eden's flair for intense emotional impact. The danger is visceral and the small victories and failures of the agents as they race towards catching the killer are many and varied and add nice depth and complexity. I did have some issues, though. There just wasn't a whole lot of surprise to the suspense and the 'big picture,' once revealed, seemed a little cliched, but it was well told, quickly paced, and thorough. I can't say I was as pleased with the romance between Luke and Monica, though. I had a very hard time warming up to Monica, and though I completely understand her motivations and the reasons she is the way she is, understanding doesn't make her any more likable in the beginning. I liked Luke, but then I haven't met an Eden alpha male that I haven't liked, so that wasn't surprising. His character wasn't as well developed as I would have liked, though. There just wasn't a whole lot to his character that went deeper than or beyond his feelings for Monica, and that made their relationship seem sort of two dimensional and it was too quick to develop (or re-develop) for my personal tastes. 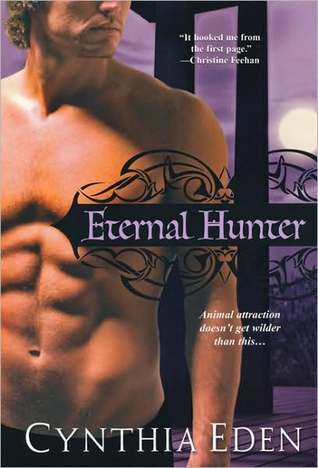 Eden wrote the pair with the same searing sensuality that she has made a staple in her paranormal romances, but without that paranormal aspect to add layers, the intensity and impetus behind the whole relationship seemed more to be solely based on lust and sexual chemistry and less on trust and compatibility. That lent the relationship a lot of sexual power, but not a lot of the subtler, more slowly enticing aspects of romantic relationship development. I do think there was a bit of a ball drop with another aspect of Dante's character definition, too. He is touted as being fantastic with victims, but he isn't really given an opportunity for that personality trait to be shown or explored, and I wish it had because it would have balanced nicely with Monica's ability to profile monsters. That was one of the points that drew me to the story from reading the description, and it was sadly underdeveloped. 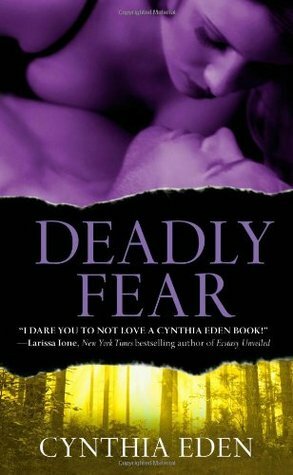 I wasn't as pleased with Deadly Fear as I was hoping I was going to be, but I'm a huge Eden fan and will give the second book in this series, Deadly Heat, a chance when it comes out in February 2011. Romantic suspense is a genre I'm fond of and I'm interested in seeing where some of the characters we met here are going in their development.